Looking for a little extra space to work, craft, or relax? We suggest a Tuff Shed building! Turn your extra yard space into a bonus room with a customized solution. 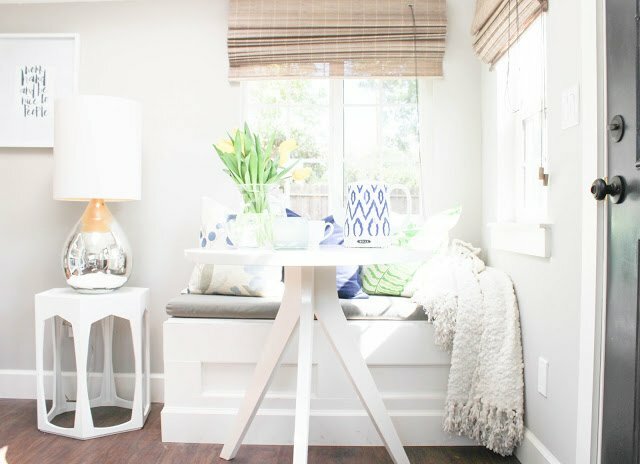 Like blogger Katrina Sullivan found, Tuff Shed can help you to create a space all your own, whether a guesthouse, a private work space, or a storage filled workshop. “I love the idea of having a dedicated work space just for myself, one of the many reasons why I love the she shed concept,” says Katrina. After considering zoning codes and workspace needs, Katrina chose a Tuff Shed TR-700 and a nine light door, framed by two 24×36 windows on either side. To accommodate for the hours she planned to spend in her Tuff Shed, crafting and writing, Katrina insulated the walls and ceiling and added drywall and vinyl flooring tiles. In addition, she ran electricity to her she shed and installed air conditioning and heating units.